Comprehensive and detailed discography in conventional format enhanced by an elucidatory feature. Lists dates, locations, personnel, instrumentation, titles and issues on 78-rpm, EP, LP and CD. Incorporates a solography feature detailing Charlie Christians participation on each title, including unissued recordings. Hyperlinks to associated solo transcriptions are provided. Also contained within this site is a short version of the Solography for quick reference and a separate list of Unissued Recordings. Comprehensive and detailed. Lists all issued and unissued material. Includes indices by catalogue number and by composition, and an itemized inventory of albums. A subsection contains specifics on the early singles: 78-rpm Records. An album of photographs of Charles, his family, friends, and fellow musicians. 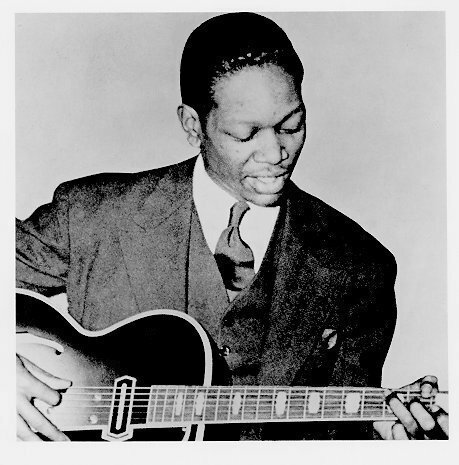 Many transcriptions of Charlie Christian solos, intros, riffs, accompaniments, etc., in standard notation with tablature. A title page for each transcription contains recording date, matrix, location, personnel, form, key, tempo, time, theme/solo routine, issued recordings, composer, and other notes relevant to that particular recording of the tune. Comments & Analyses are located at the bottom of the title page of each transcription. 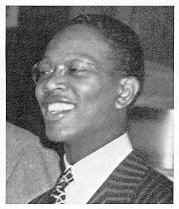 Two comprehensive bibliographies by Clive Downs list and describe all publications with significant reference to Charlie Christian. presents a detailed bibliography of Charlie Christians transcribed solos. is a complete bibliography less the transcription publications detailed in the solos bibliography. A biographical outline of the life of Charles Henry Christian. Includes a section on posthumous events and awards. Twenty-one monthly calendars detailing Charlie Christians activities while on the national scene. In-depth assessment of the essential, notable, and enticing Charlie Christian CDs. Reviews of new issues and updated extracts from the previously published newsletters. Plus an analysis of the recordings that were omitted from the Masters of Jazz compilation. Discursive look at significant publications on Charlie Christian. Extracted from the previously published newsletters plus additional reviews of new items. An analysis in graphic format explaining the source of the various spliced tracks on some LPs and CDs. These charts should clear up the confusion regarding Charlie Christians spliced solos. Revised and updated from a previously published newsletter plus new material. Web links to other sites associated with Charlie Christian, the best jazz guitar sites, and link-sites to jazz places on the Internet. 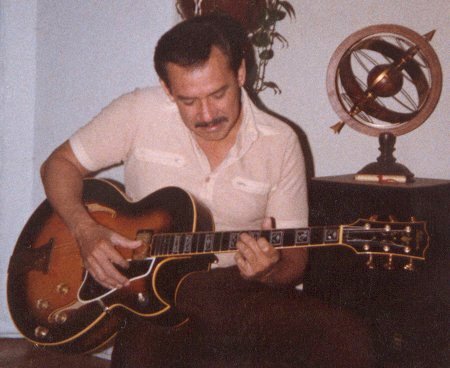 The Compleat transcriptions of Charlie Christian solos, intros, riffs, accompaniments, etc. in standard notation and tablature format. Over 200 titlesmore than 400 pages. All transcribed by your host. Currently being formatted for the Web. as perceived by your host. To be posted along with the transcriptions. Solo Flight: The Charlie Christian Legacy !